Thinking about getting a new laptop? 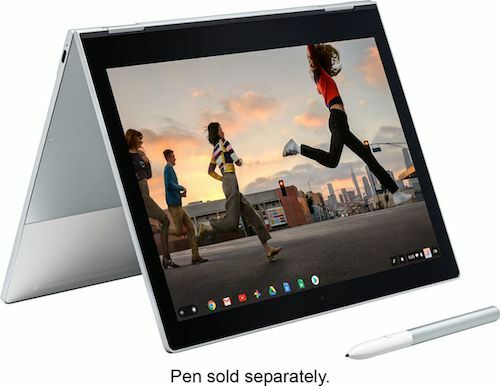 Save $100 off a high performance Pixelbook and Pixelbook Pen, at Best Buy, starting on 3/25 through 4/7. The Pixelbook is the first laptop with the Google Assistant built-in. The four-in-one design contains a 7th Gen Inel Core i5 processor, 8GB or more of RAM, a base of 128GB SSD for storage, and a long-lasting battery. Do more with many apps for productivity and play. 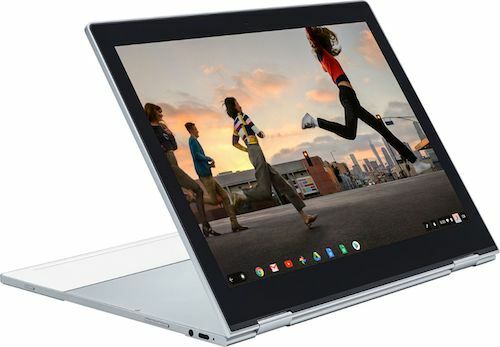 Built on the Chrome OS, Google’s Pixelbook was made from the ground up to adapt to how you use a laptop in tent, tablet and entertainment modes. It measures 10.3mm and its lightweight aluminum construction weighs 2.45 lbs, which fits perfectly in a messenger bag or backpack. This is Google’s thinnest laptop ever. Get a full day’s worth of work and play on the Pixelbook, with up to 10 hours of battery life. Its fast-charging power adapter can add up to two additional hours in about 15 minutes. Charge it before leaving work or school and have enough power for the trip home. Ask the Pixelbook questions, and learn more about the world, by tapping on its dedicated Google Assistant key, or wake the assistant up by using “Ok Google.” Access the Google Assistant another way by pressing and the holding on the Pixelbook’s Pen button, and then tap it on the touchscreen. When connected to the Internet, the Chrome OS will automatically update itself and its apps in the background. Because it has an SSD drive and 8GB or more of RAM, the Pixelbook starts up in less than 10 seconds. Its 12.3” touchscreen can rotate 360 degrees, which allows you to fold away the keyboard when using it as a tablet. Tablet mode is perfect for use with the Pixelbook Pen, which is sold separately. It adjusts to whatever you are doing. From enhancing photos, watching movies and TV shows with Google Play Movies and YouTube Red to staying productive with all GSuite apps. Drive syncs and backs up your Pixelbook with all documents in the Google cloud. Google has designed a laptop to be fast, productive, fun, lightweight and entertaining. Download your favorite shows from YouTube Red and Google Play Movies, to enjoy them even when Wi-Fi is unavailable. 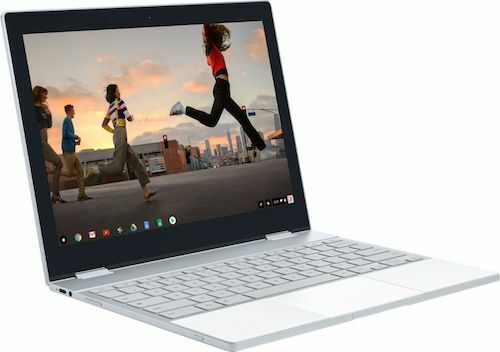 Learn more about Google’s Pixelbook, the Pen and save $100 at Best Buy from 3/25 to 4/7.